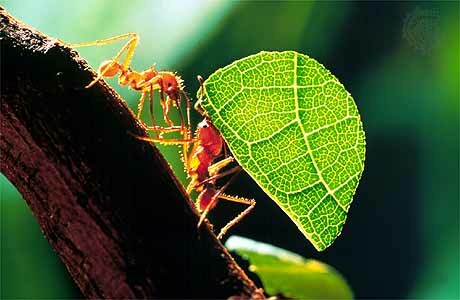 The ant…I understand this tiny being. It is said they can carry 10, 20 and even 50 times their own body weight. This makes them very remarkable. I’ve been at war with whole colonies in my kitchen lately and yet sometimes I just watch in awe. So many of them, working so hard, carrying so much. I can kind of relate. It seems I have acquired, inherited, been gifted, whatever you want to call it, the curse of capability. I can carry and juggle quite a bit before I drop anything or things fall apart. Maybe it is some inner self value I’ve held on to, at the very least to try, give everything I have, keep carrying on. Withholding any bit of myself feels like withholding my love. While this is usually a good thing and has served me well, in the wrong circumstances it can be disastrous. My vision of wants and needs gets all meshed together with both strangers and people I love. All I can see in every room is need, the kind that is as plain as the nose on your face and the tiny one hiding behind your heart. It all looks like need to me, it’s hard to distinguish want. But when I find myself alone in a room with my own need, an awkward conversation ensues. “Hey Need, how’s it goin’, I’m patience.” we shake hands and I shift in my seat nervously. Need stares at me, we sit in silence….”Okay, I’m going to be heading out now, nice meeting you.”, while I make a beeline for the door. I rarely ever see want, I’ve heard of her but she feels more like a rockstar that rolls into town ever so often, the concerts and hotel parties are amazing but feel indulgent. I start to wonder about this part of myself as life unravels around me. I wonder just because I can do something, does it mean I should do it? I start to imagine what might happen if I put my load down for just a minute. I’m learning to allow space to find out. Maybe there are more ants like me, ones I haven’t even met yet. The kind that know when and how much to pick up and don’t carry a curse. The interesting thing about curses is they only have power if you give it to them. They seem big and overwhelming but mostly they just like you to feed them. They die when the power is cut off and taken back. So today I sit longer with Need and try to get to know her. I invite Want to come over and play, we eat brownie sundaes and lay around together. I tell the curse I have nothing to offer him today, he leaves in a huff and I return to watch the ants. A dear friend said to me the other day:” You just keep going & going. You never stop. It’s exhausting to watch!” Ironically, that actually made me pause. I’m always running around taking care of my kid, my husband, my house and my friends; whatever anyone else needs. I’m pretty flipping good at it too, being capable, organized and getting sh*t done. But when it comes to asking for what I need, then it gets blurry and tangled in what my other people need. For myself, people pleasing in this way isn’t about being kind or helping others, it’s about my validity as a person by what I can do for them. Not always a sustainable way to operate in the world. It’s also not to say those things I do for the people I love aren’t worthy of help, it’s just I need to practice self-kindness and remember to ask for what I need as well. That’s hard because it means sitting quietly with myself and allowing space for Need or inviting Need in. Yeesh. Want is so much easier because it usually involves lots of chocolate. This post reminds me of my role as “the eldest daughter” and all the weight and expectation that come with that certain fact. I thought since I was the first daughter I’d be a princess, but really their are a lot of things that come with being the eldest daughter and I live it out without realizing that is what drives me. I notice that I have shut down at times and do not want to do anything because I am so overwhelmed or paralyzed; but that doesn’t last long. I would like to spend time doing the things I want to do. I have heard myself express that a few times. So, I ought to look at that and see what I am postponing, what need I am ignoring and strive to meet them halfway. It is a process though, isn’t it Patience? This post couldn’t have come at a better time because this past week has been a blur of graduations and getting the video camera to cooperate, parties with a chance of thunderstorms that threaten to cancel bounce houses and disappoint little faces, decorations to be put up and taken down, surprise doctor visits and opinionated mother in laws….not to mention a full time job, school plays and end of school year preparations for summer camp. The list goes on. And my poor, patient husband, who is away on business, gets the brunt of my busy-ness and semi frustration when he checks in. Today I had a bit of a melt down on my way to work because often times, I NEED to ask for help but like everyone has so eloquently put it (and I so agree) my needs turn into a jumbled mess and intertwine with all the other thoughts in my head. To actually express those needs would feel like both a blessing and a curse. Sometimes it feels like too much to put out there…..but I know I should from time to time in order to take back some of the joy that has been pushed aside.